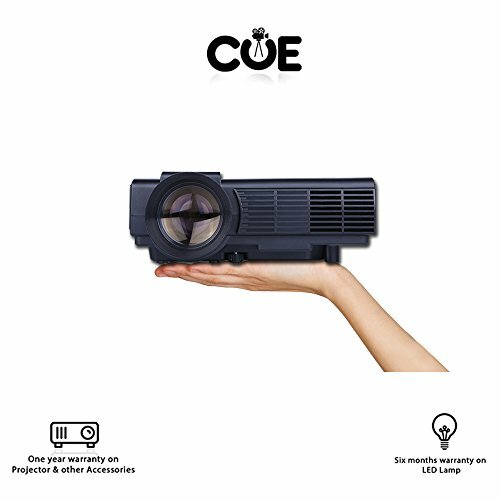 COMPATIBLE DEVICES : THIS PORTABLE PROJECTOR IS VERY VERSATILE AND CAN PLAY MUSIC, DISPLAY PICTURES & VIDEOS CONNECTED TO ANY HDM ENABLED DEVICE LIKE PCS, LAPTOPS, BLUE-RAY DVD PLAYER, GAMING CONSOLES ETC. 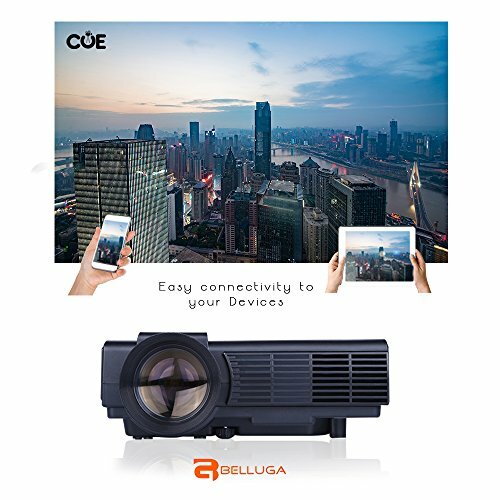 SCREEN MIRRORING : CONNECT YOUR SMART PHONE OR TAB TO THE PROJECTOR WIRELESSLY THROUGH MIRACAST & AIRPLAY APPLICATION. 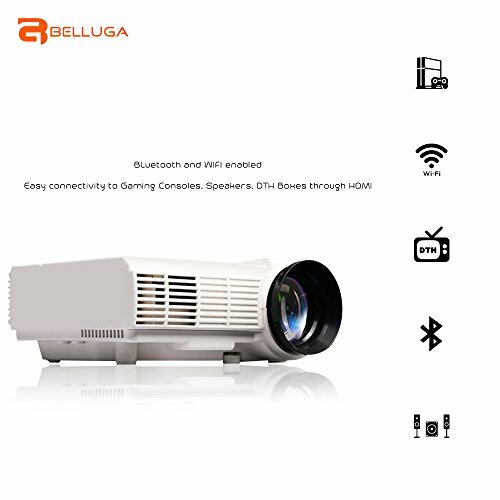 WIFI & BLUETOOTH : GET THE PROJECTOR CONNECTED TO YOUR PREFERRED NETWORK SETUP WIRELESSLY THROUGH WIFI. BLUETOOTH FOR SURE GIVES A LOT OF ADDED ADVANTAGE TO THE USERS. 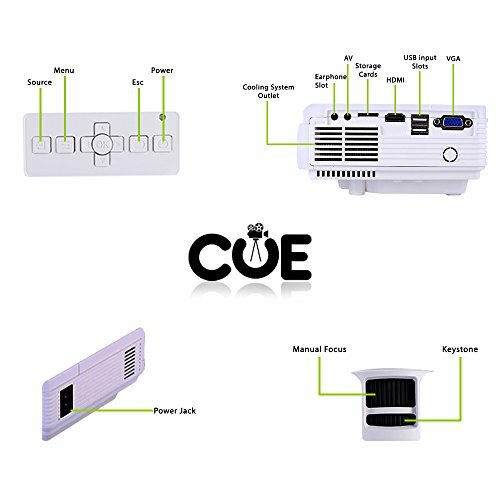 ANDROID & GOOGLE PLAY : CUE,ANDROID ENABLED SMART PROJECTORS ALLOW YOU TO SURF THE WEB. 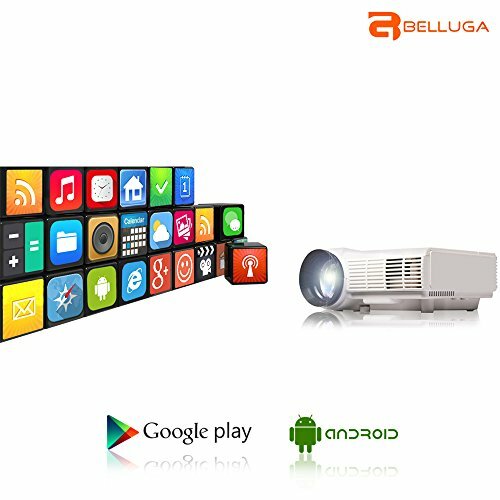 GOOGLE PLAY HELPS YOU DOWNLOAD THE MOST COMPATIBLE APPS AND WATCH YOUR FAVOURITE MOVIES THROUGH YOU TUBE, NETFLIX AND MANY OTHERS. 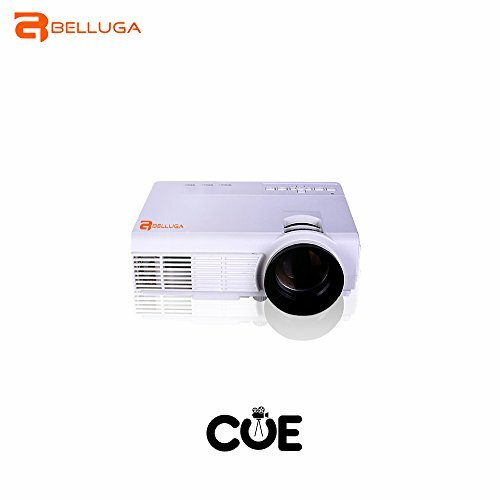 WARRANTY & SERVICES : BELLUGA PROJECTOR COMES WITH A WARRANTY OF 1 YEAR ON PROJECTOR & 6 MONTHS ON THE LAMP. BE REST ASSURED WE ARE ALWAYS HAPPY TO HELP YOU.IN CASE OF ANY FURTHER ENQUIRES FEEL FREE TO CONTACT US AT 1800 3002 0185 .